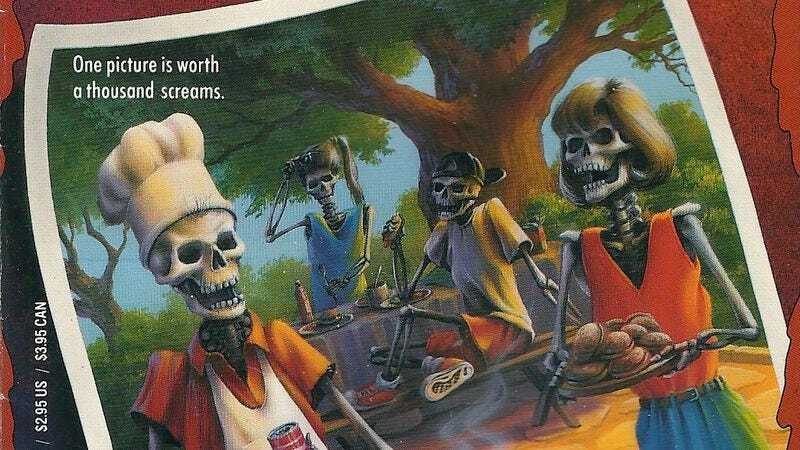 Everyone fondly remembers the Goosebumps books—or, at least, they do if they didn’t go to elementary school with a whiny kid who got too scared and complained to his parents, who then complained to the school and got them banned, Brian. Not even the most powerful PTA can stop Hollywood, though, which is why it continues to move forward with a big-screen adaptation of the long-running series of books that really weren’t that scary—seriously, Brian—but were always fun to read. As previously reported, Jack Black has been cast as a thinly veiled version of Goosebumps author R.L. Stine, along with Dylan Minnette, who played President Grant’s snotty son on a few recent episodes of Scandal. Now, as revealed by Deadline, we know they’ll be joined by Childrens Hospital’s Ken Marino, who will be playing a “blowhard coach” at a high school that gets attacked by monsters. Of course, casting Ken Marino as a blowhard coach grants him ample opportunities to grab a couple of sports balls and set up that famous catchphrase from MTV’s The State. But Sony will most likely position Goosebumps as a movie for kids, and Marino talking about dipping his balls in something probably wouldn’t be appropriate. We don’t want to give Brian another reason to complain to his parents.